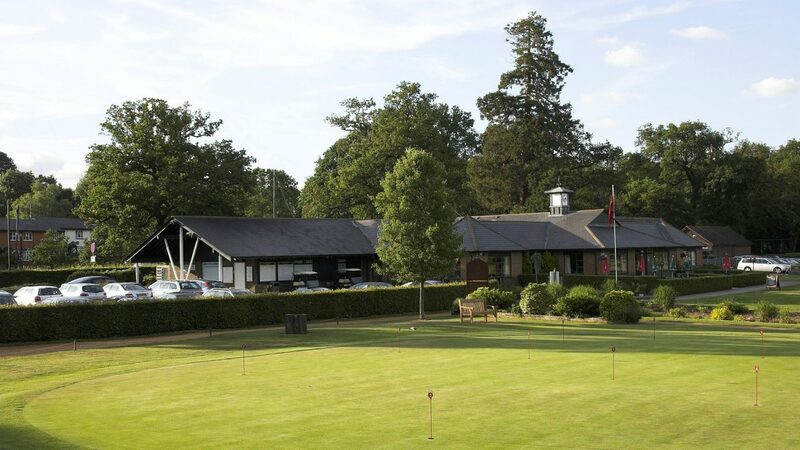 Hartley Wintney Golf Club is a friendly members club situated in the beautiful North East Hampshire countryside, easily reached from the M3 & M4, and close to the borders of Berkshire and Surrey. The Club has been providing enjoyable golf for over 125 years and is the ideal location for a relaxing game in tranquil surroundings. Hartley Wintney offers an 18-hole, par 71 Course that is part parkland, part woodland, with many mature trees and water hazards. The course measures 6,277 yards from the white tees, with the layout carefully designed to provide a challenge for all standards and should be respected if you are aiming to return a good score. The back nine is 450 yards longer than the front, so it’s best to get your score in early. The challenge ramps up on the closing stretch, with the 13th and the 16th being particularly strong tests. The former is the stroke index one, a 424 yard par four, which invites a tee shot up the left side towards a lake in order to have a shot at the shallow green, while the latter is a classic three shot par five that requires precise yardage management to avoid two ditches that run at right angles to the fairway. The modern and comfortable clubhouse overlooks the 18th green and caters for groups large or small throughout the week, offering everything from a bacon roll to a 4 course meal. 18, 27 and 36 Hole Packages. Bespoke catering available upon request. Exit the M3 at junction 4a or 5. Exit the M4 at junction 11 The Club is situated in the heart of Hartley Wintney, adjacent to the A30. £40 (Mon-Fri), £47.50 (Sat-Sun). Visitor Restrictions Visitors welcome on weekdays and after 2pm at weekends.